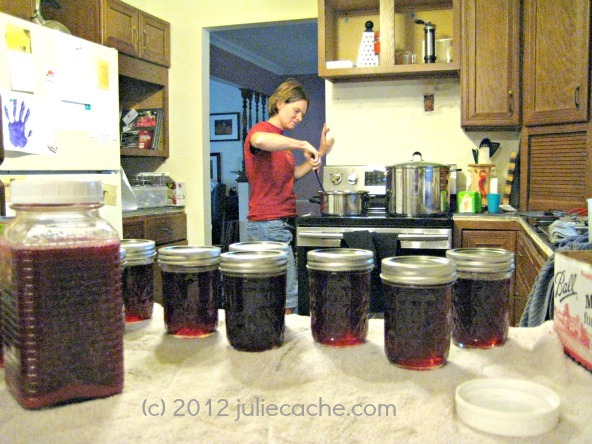 I spent some time last weekend making jelly. My kids love the clean mouthfeel of homemade jelly. I accredit the white sugar; corn syrup in store jelly is so…..clingy feeling. It’s not the opposite of clean, it’s not dirty, just annoyingly clingy. Like you have to brush your tongue when you finish. I don’t own a potato masher! Rita makes jam for the first time ever! Rita stemmed the grapes that Sara brought. I used my empty canner and drawers to get the juice. 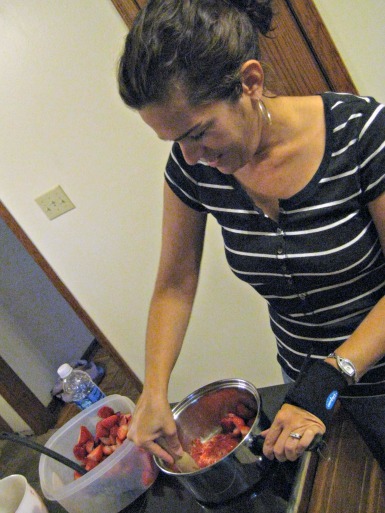 This entry was posted in food, frugal family and tagged canning, frugal tuesday tip, jelly. Bookmark the permalink. I agree about the store bought jelly being clingy! 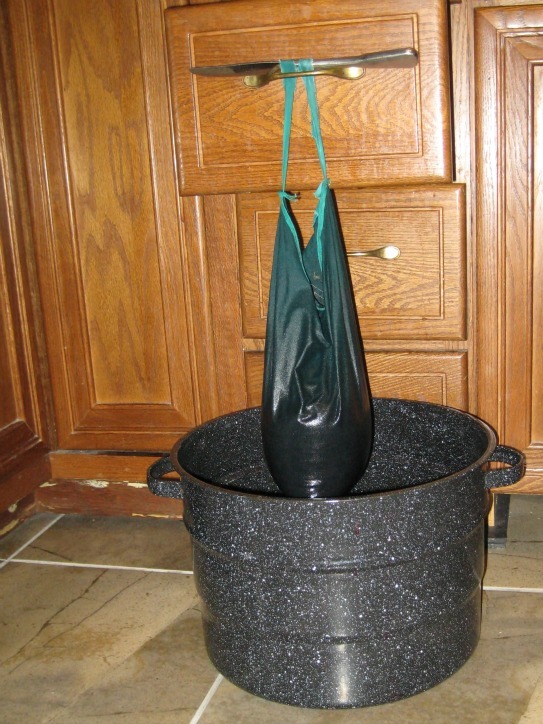 Though I’ve never tried homemade…I’ll have to get on it.